Grease is a 1971 musical by Jim Jacobs and Warren Casey. The musical is named for the 1950s United States working-class youth subculture known as greasers. The musical, set in 1959 at fictional Rydell High School (based on Chicago, Illinois (William Howard Taft School), follows ten working-class teenagers as they navigate the complexities of peer pressure, politics, personal core values, and love. The score attempts to recreate the sounds of early 1950’s rock and roll. In its record-breaking original Broadway production, Grease was a raunchy, raw, aggressive, vulgar show. Subsequent productions sanitized it and tamed it down. The show tackles such social issues as teenage pregnancy and gang violence; its themes include love, friendship, teenage rebellion, sexual exploration during adolescence, and, to some extent, class consciousness/class conflict. Grease was first performed in 1971 in the original Kingston Mines Theater in Chicago (which was co-founded by Harry Hoch and June Pyskacek, and included the Kingston Mines Cafe), located in an old trolley barn (now the site of a hospital parking garage). From there, it has been successful on both stage and screen, but the content has been diluted and its teenage characters have become less Chicago habitues and more generic. 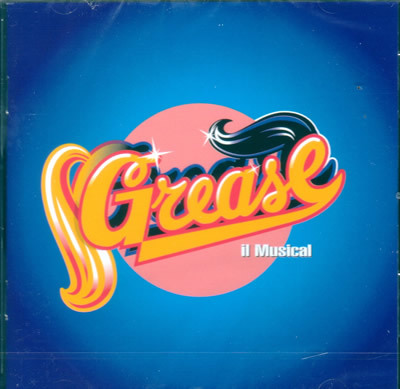 At the time that it closed in 1980, Grease’s 3,388-performance run was the longest yet in Broadway history, although it was surpassed by A Chorus Line a few years later. It went on to become a West End hit, a hugely successful film, two popular Broadway revivals in 1994 and 2007, and a staple of regional theatre, summer stock, community theatre, and high school and middle school drama groups. It remains Broadway’s 15th longest-running show.